The Federal Government on Tuesday said there was no going back on the July 1, 2014 deadline set for the commencement of the 70 per cent tariff on imported new cars. It, therefore, dismissed the report of a possible extension of the deadline to January 1 next year. It said only the implementation of the 35 per cent levy on imported used cars would be delayed till the end of the year. The statement, which was entitled: ‘FG retains July 1, 2014 date for full implementation of Nigerian Automotive Industry Development Plan’, was signed by the Director, Policy and Planning, NAC, Mr. Luqman Mamudu. In November 2013, the Federal Government had raised the duty and levy payable on imported new and used cars from 20 per cent to 70 per cent. The policy was aimed at encouraging local production of new vehicles as zero per cent was placed on the completely knocked down units required by the local assembly plants. 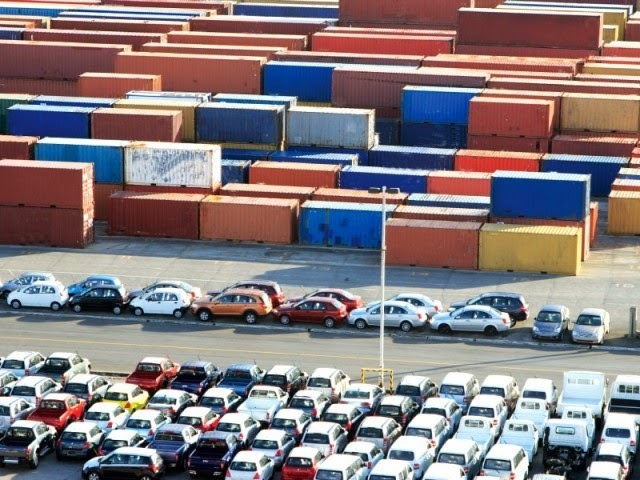 The government had earlier fixed April 1 for the implementation of the new tariff on both classes of imported vehicles, but later decided to phase the implementation of the policy. Already, the first phase of the policy involving 35 per cent duty increase has come into effect. The second phase of 35 per cent increase in levy is expected to commence on July 1, 2014. But there were unconfirmed reports on Monday that the government was considering pushing the commencement date to January next year. It is no more news that the unemployment rate in Nigeria is becoming very alarming. According to the article published by premium times in October 2013, the Performance Monitoring Report on Government’s Ministries, Departments and Agencies, indicated that the unemployment rate in Nigeria in 2010 was 21.1 per cent, a figure that increased to 23.9 per cent in 2011. “In 2011, Nigeria’s unemployment rose to 23.9 per cent compared with 21.1 per cent in 2010,” the News Agency of Nigeria quotes the report as stating. The report referenced its facts from the National Bureau of Statistics (NBS). But the good news also is that God has endowed our nation with all that it takes to tackle this problem. In this article, I will be looking at how to solve the problem of unemployment from the perspective stimulating growth in the non-oil export trade in Nigeria. The reason for this is very simple. Nigeria is endowed with great potential to produce and export both Solid Minerals and Agricultural commodities. These two categories of commodities can be exported as primary product, semi-processed or finished goods. God has so made Nigeria in such a way that no state of this country lacks an exportable Solid Minerals and Agricultural commodities even though some have more than the others. Exportation of these commodities passes through a chain that has great potential of creating different jobs all the way from the farm gate or mining site to the point of exporting them. A significant growth in the exportation of these commodities will mean growth for the Farmers/Miner, the local buying agents, the commodity merchants, the processing factory, the exporting company. It is sad to say that while we have tens of thousands of companies importing different items into Nigeria, less than 600 companies are involved in non-oil export. A number of company that are in the business could not grow at a faster rate because of inadequate funding in that sector. 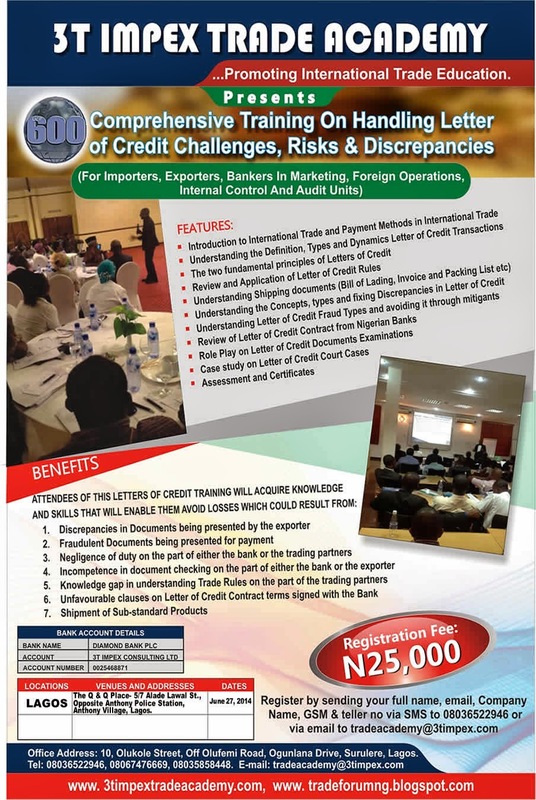 Experts have attributed this to a number of factors but the major one is said to be the lack of financial institutions that are creative enough to come up with trade finance products that are targeted are funding SME Exporters. In my opinion, there is need for a deliberate policy towards the growth of the non-oil export finance in Nigeria and I think this should be championed by the CBN. a. The export banks are to finance only export transactions and any financing done outside this should be penalized. b. The export banks should offer trade finance products like Export Credit guarantee, Export Credit Insurance, Factoring, Forfaiting, Invoice discounting etc. c. The interest rate on the export financing facilities from this bank should be set by the Central Bank and should be lower than the prevailing rate in the market at any point in time. 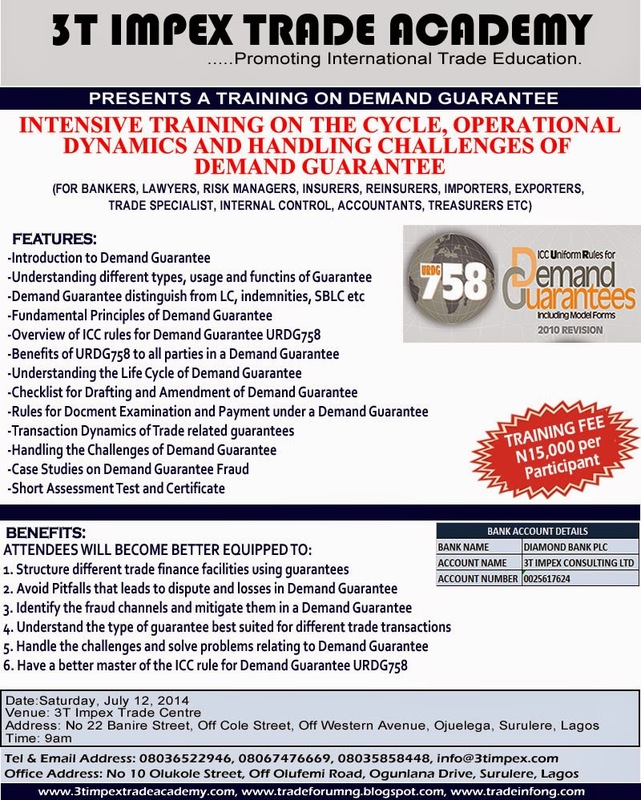 d. The export banks should be given tax holiday as an incentive to attract a lot of investor to the scheme. e. Government should reward any of the export banks that have the highest export finance facility portfolio at the end of each financial year. f. The export banks should offer both pre and post export financing to exporters. 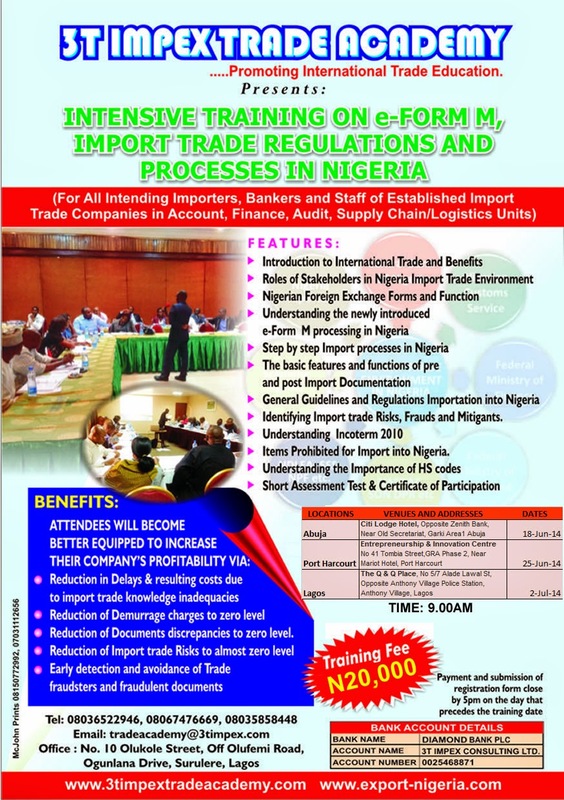 g. The banks should only finance SME exporting companies or cooperatives with at least 6 month experience in the business and with Bill of lading records of export and evidence of receipt of export proceeds from the buyers abroad. i. The export bank should have a warehouse where all the products that they are financing are inspected to ascertain the quality before they are exported. k. The goods should be used as collateral for post shipment financing while equity contribution of 30-50% must be a pre-requisite for pre-shipment financing. l. The export financing facilities from the export bank should cover the export of solid minerals and agricultural commodities, semi-processed products and finished goods. m. The export bank financing facility should only be granted to export transactions with Letter of Credit, Sight Bill for Collection and tenored Bill with Avalised Bill of Exchange. I expect that some people will say that we already have a NEXIM Bank doing this, but we all know that NEXIM is a government institution, it is not a profit driven organization and they are also under so much political influence. All these have gone a long way to hinder their performance over the years and since inception. In conclusion, if the Government/CBN can adopt what have been suggested in this article, modify it as might be required, implement it to the letter and give the adequate publicity in order to make it known to the general public, we will be on our way to the commencement of a systematic and sustainable approach to drastically reducing the very high unemployment rate in our dear Nation Nigeria. Clearing agents operating in the nation’s seaports have cried out over alleged re-introduction of the controversial benchmark for all imported consignments, saying that the introduction has hiked cost of clearing goods by 200 per cent. Customs has however claimed that the new scheme was brought back to enable the Service meet its revenue target. 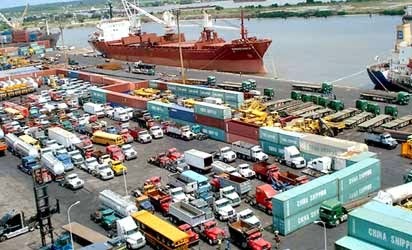 National Secretary of the National Council of Managing Directors of Licensed Customs Agents, NCMDLCA, Uchu Block, who disclosed this to Vanguard, explained that the re-introduction has driven up the cost of clearing goods from the ports by over 200 percent. Block noted that items like grinded corn for the production of Noodles which costs about N5 million to clear up unti l last year, now costs about N17 million for the same item and the same quantity. The NCMDLCA scribe pointed out that the situation is affecting clearing process at the port and worse still, there is no one to complain to. He further noted that even when there is a channel for complaint, people would not want to come forward as the delay may cost them more in terms of demurrage. Responding to the above however, the Public Relations Officer of Tin-can Island Command of the Nigeria Customs Service, Chris Osunkwo, said that it is not true that the Service has re-introduced the contentious benchmark. Osunkwo told Vanguard that the Service is only carrying out government directive on the issue and explained that the current duty rate is based on the international standard set by the World Customs Organisation, WCO. In his words, “There is no iota of truth there but there is a procedure for determining value for any imported item. No body gets up and determines the value of a product, there are lay down procedures and standards for determining it. “If what they call benchmark is the application of the standards, so be it because valuation matter is not a Nigeria Customs matter alone. It is a universal thing which was introduced by the WCO. “Does Customs still charge different duties on similar goods at the various ports across the country, no, there is uniformity because we receive our directive from government based on its policy and it is this policy that determines how much the Service will collect as duty from any import into the country. “Take for example duty on imported vehicles, there is a government policy that says collect 35 percent more on all imported vehicles and there is a government circular from the ministry of finance to that effect and that is what Customs is implementing. “We cannot act in isolation. We cannot just wake up and jack up the value on imports. Some people criticise out of ignorance,” he noted. The Minister of Transport, Senator Idris Umar, has disclosed that the federal government had concluded arrangements to develop six new deep seaports in South-west and South-south geographical zones of the country through Public Private Partnership (PPP). Addressing participants at the end of a two-day seminar organised by the Nigerian Shippers’ Council (NSC) and the National Judicial Institute (NJI) in Abuja, Umar underscored the development of the deep seaports as the ultimate solution to the problems hampering the development of the sector. The others he added include, Agge deep seaport in Bayelsa State and Ogidigbe seaport, near Escravos in Delta State, which would serve as a hub for the gas revolution initiative of the government. He explained that the draft business outline case for the propose six deep seaportas has been submitted to government for transaction approval after which advertisement will be made for prospective investor. The minister stated that President Goodluck Jonathan had approved the appointment of the NSC as the interim economic regulator of the Nigerian ports pending the passage of the relevant legislation. He said: “The appointment of the interim economic regulator was done with clear objectives which government hopes would be achieved both in the short and long terms frame, aimed at making Nigeria the hub of international freight and trade in West Africa. In a remark, the former Head Interim of the Interim National Government, Chief Ernest Shonekan, said piracy and armed robbery at the sea are some of the unwholesome activities that are impeding the growth of the maritime industry, adding that this is giving the country a bad name in international arena. He said: “We must realise that our new position as the leading economy in Africa places some heavy responsibilities on us as a country. 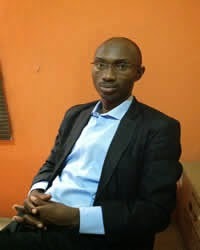 According to him, there was need for quick dispensation of justice on issues affecting the maritime industry, adding that the onus rests on key operators in the industry and other relevant stakeholders to braze up and update themselves on the new ideas in information and technologies that are emerging. 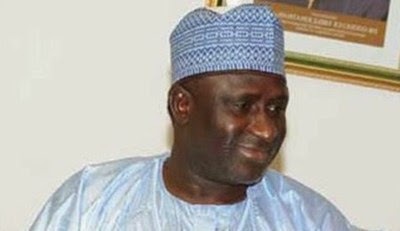 Minister of Mines and Steel Development, Mr Musa Sada, has said the Federal Government would soon establish solid minerals shops in the country with a view to promoting the exportation of minerals. Speaking to the News Agency of Nigeria on Monday in Abuja, Sada said the shops would be established in collaboration with the Ministry of Industry, Trade and Investment. “We will not buy the minerals as a government. The miners will work as cooperative societies; they will bring the minerals and somebody in NEPC will now take responsibility for the minerals’ marketing abroad. 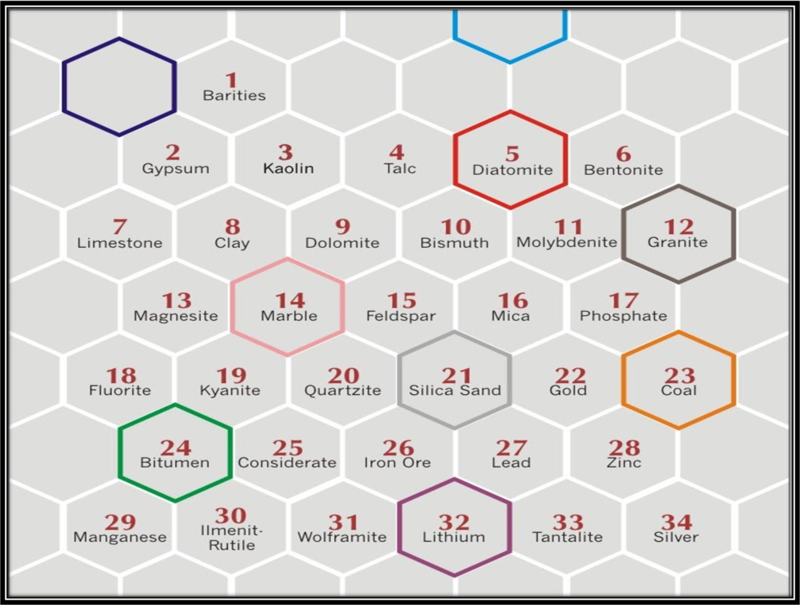 “All you need is to get certification as to the type of minerals you have and the quantity you brought. “When they sell the minerals, they will now come and give you your money. They are experts in this kind of trade. “Anybody mining will be licenced either as a company, individual or cooperative society, and this licence specifically states the kind of minerals you are involved in,” he said. Sada said that his ministry and the Ministry of Trade and Investment had planned to attach the mineral buying centres to the commodity exchange, adding that it would also issue minerals buying rights to some people. He said that under this arrangement, there would be a section for agricultural products, solid minerals products, other products at the commodity exchange. He pledged that the arrangement would be carried out in line with global best practices. Besides, the minister said that the ministry had always participated in the trade fairs organised in Kaduna, Lagos, Enugu and Abuja to educate investors and the public on how to invest in the mining sector. He said the ministry also encouraged its state offices to participate in all the trade fairs in the 36 states because mining was all about information. Sada said the centre had also given information to Nigerians who wanted to invest in the mining sector. He said the proliferation of quarries around the country had indicated that local people could produce enough gravel for contractors to buy, adding that they had made a lot of contribution to the system. Nigeria is largest manufacturer of ceramic tiles in West Africa. 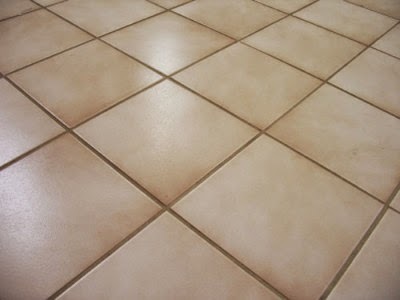 The Minister of Mines and Steel Development, Musa Sada, on Monday said Nigeria had concluded plans to begin the exportation of ceramic tiles to other countries. The minister made this known in an interview with the News Agency of Nigeria in Abuja. He said that Nigeria had hitherto abandoned the exploitation of the clay material that was being used for its production. The minister said the country had the largest tile factories in West Africa, adding that it would begin the exportation of ceramic tiles just like it did with cement. “We are hoping that very soon, we will make a declaration on production of ceramic tiles because all our efforts are aimed at industrial production and how to create jobs,’’ he said. Mr. Sada said Nigeria had five privately owned ceramic tile factories, three of which were located in Lagos State, while one each was located in Cross River and Kogi respectively. “We have the background information on clay deposits and other minerals we have to give these factories and potential investors to enhance the development of the minerals,’’ he said. Besides, Mr. Sada said the case between the Federal Government and Global Infrastructure Nigeria Ltd, an Indian company, which bought Ajaokuta Steel Company, had been settled out of court. He explained that the Federal Government terminated its contract with Global Infrastructure on the ground that the company lacked the requisite competence in management. “We have about six memoranda of understanding on the various rolling mills and the training school. “We have 40 experts from Ukraine working on rehabilitating the place and running it,” he said.